WHERE DID INSPIRATION FOR THIS BOOK COME FROM? During the period of the 2008 American presidential election, when the whole world was held spellbound, I overheard a group of British college students discussing their latest study project. They were required to write an essay comparing any modern American First Lady with one who had served within the first century of the presidency. They quickly discovered that the early First Ladies lived in a complex world and that their role in that era was difficult. Pulling the overwhelming jigsaw of facts together from internet research was proving to be laborious and wearisome. The students would have preferred one compilation of First Ladies stories from the 19th century, which could be discussed with each other and /or their tutor at anytime, anywhere. Enthusiasm for the project was dampened by an apparent dearth of such volumes and by the lack of time available to study long individual biographies. The idea for this compendium was born! 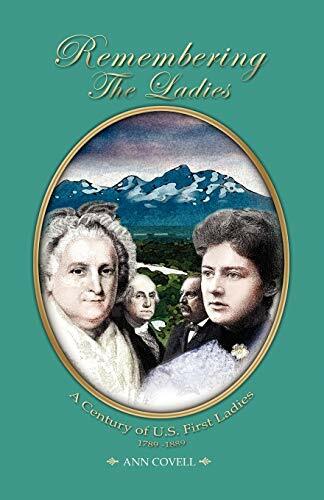 This book provides an insight into the lives of the 19th century First Ladies, in an undemanding, easy-to-read style, and aims to raise awareness of the historical significance of these women. Their abridged stories, sometimes joyful, sometimes sad, range from slavery, bigamy, duels, royal snubs, European conflicts, American wars, assassinations and suffrage, and demonstrate how the Ladies might be seen as victims of history. The text includes a basic review of the restricted evolution of the First Lady role during the first hundred years. The aim is that the book will encourage foundational study in colleges and schools, and inspire anyone who is interested in presidential history to deeper levels of publications and study.